It was estimated that the roughly 170 million chargers used in the State of California use a total of 8,000 gigawatt-hours of electricity every year and that nearly two-thirds of that energy is wasted. The energy usage of a charger comes in three stages, when it is plugged into the battery or device and actively charging, when it is plugged into the battery or device but not charging and when it is simply plugged into the wall but not connected to anything. The new standards will regulate the amount of energy used during those three stages in order to reduce the amount of energy wasted. 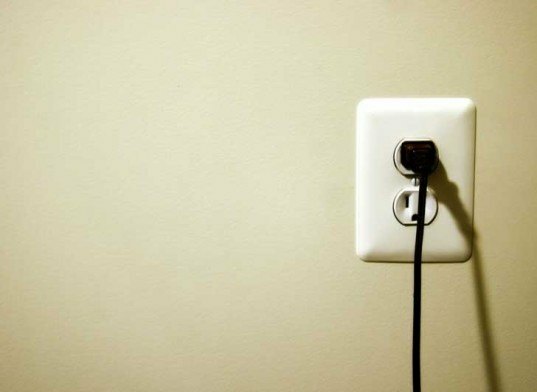 “When you consider powering California’s plugged-in lifestyle, these new efficiency standards will save consumers money and energy,” said Energy Commission Chair Dr. Robert Weisenmiller. “The standards will reduce the wasted electricity from powering our day-to-day appliances by 40 percent and help California meet its strategic climate policy goals. Once again, California is setting the standard for energy efficiency, keeping the state’s dominance as the most energy efficient state per capita.” California has recently stepped up to the plate by introducing their own climate change legislation in the wake of the federal government and world leaders‘ failure to do so. With an average of 11 battery chargers per household, these standards will do more than help the state on their goal to stopping climate change – they will save residents cash each and every month on utility bills. $1.32 per year per charger. 170 million chargers. $224,400,000.00 a year. if they save only 30% $67,000,000.00 So yeah, I'd say that saving 67 million dollars is not a tiny thing. And yes, everything ELSE should be done too. Better insulation, higher energy standards on appliances, hell switching all public lighting to LED would return investment in 3 years and then save state over 500.000.000 a year. (problem is that first 1.5 billion investment, it could only be done by first year governor to reap the benefits before his term is over) And all those things should be done. But every little thing they do, this included HELPS. Every watt of energy saved can be used somewhere else, and that helps us all. (as I can't edit a comment still awaiting moderation...) Oh, and that's a genuine mileage improvement, measured at the pumps... and switching FROM a car that would be considered reasonably efficient by U.S. standards, to one that is itself soundly beaten in both efficiency AND performance AND safety terms by the latest crop of euro (& jap) vehicles in the same size class. If I had the money to spend on it, or wanted to tie myself to a long term finance plan, I could go out now and order a reasonably priced modern-day equivalent that DOUBLES the efficiency of my previous ride, but has essentially identical performance (using 3/4 the engine capacity; and considering it had itself offered 50% more power per litre than the one before with about the same economy, that's double the specific output and double the MPG in a fairly brief ~15 years of development, with the resultant "small" car actually not being far off the dimensions of the original). And, despite the considerable amount of tech that went into its production, this is still a mainstream model. Behold the market shifting, innovation driving power of legislation and taxes. It's partly the reason hybrids have, and electric vehicles are going to have, a hard time getting a foothold over here, because world-market (and particularly US-market) hybrids don't actually offer any kind of benefit here for their high purchase and servicing costs, and electrics don't offer enough of one to offset costs and inconveniences. Even with large subsidies on offer. An electric Smart has about an eighty mile maximum range, and can do 65mph... and gets a "99 electric mpg" rating in the USA. A CDi stop-start Smart, driven at no more than 65mph and generally in the same manner you would have to drive the electric to achieve the stated range, will return upwards of 80mpg US... Yet one costs about £10,000 ... the other £30,000. That's an awful lot of money to spend in order to save a trifling amount on fuel and congestion charges. (The one hybrid that may have a chance here is a homegrown one - a Peugeot diesel-electric using an already efficient HDi engine up front, with an electric motor at least as strong as the Smart's driving the rear wheels. A largeish family car, turning in about 70mpg UK, qualifying for the lowest (currently free) annual tax bracket, no congestion charge/free access to HOV lanes/etc, with the benefit also of part-time 4WD. And it's not even supremely expensive... less than 50% on top of the normal price at launch, and set to come down quite sharply as production ramps up - rather than being 2-3x dearer than a standard model) It would probably work the same way for the battery chargers, but it would probably be wise to try and get the big stuff in first, before seeing how much copper we can shave off the remaining penny? (Even if I had 5 people in the car, at all times, it'd still be the equivalent of 15 chargers each. I don't own that many battery-powered devices; I doubt many people do... and only 2 or 3 of what I do own still run on removable AAs. 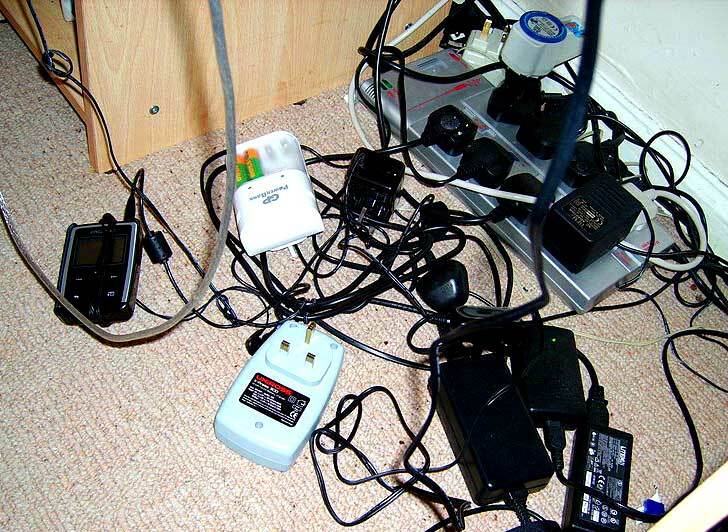 The rest use Li-Ion, and their chargers are of the aforementioned fairly-smart types. Hell, even my old Nokia 3310 with its NiMH cell had a charger that worked that way, not turning on until a completed circuit was detected, and switching to low energy trickle mode once the battery was full. I dunno where these highly wasteful vampire power chargers are being found from, but I'd suggest it's the late 90s. The amount of energy used whilst they're actively charging - and therefore by the battery powered device in question - is far more important...) By the time the road transport efficiency plan reaches fruition, all these things should hopefully be solar charged anyway. Or would be charged via no-contact induction plates, which should be smart enough to only switch on when a compatible device draws near. My induction cooker-hob doesn't apply power unless a saucepan is detected, so why wouldn't the charge plate work the same way? Amazing, all this effort for such a small thing. I've plugged cellphone and nickel battery chargers into power-meter devices before, and the amount of standby power they consume when not actively charging is basically too low to measure - as in, 1 watt or less (and maybe 5-10w whilst in active use). This includes when they've switched to trickle mode. You would, otherwise, notice them getting warm as they'd be dumping all that spare energy as heat in a quite small space... 1w continuous is approx 8.77 kWh per year. $1.32 at california rates. Or four hours of running my 2250w electric booster heater at full power when the main gas fired one is losing the battle. Which is something I had to do last night... for about four hours. Rare, but it is sometimes necessary. It strikes me that there are probably much more effective ways of significantly reducing energy consumption. Regulating the cheap transformer based power supplies of other kinds of home electronics for a start - digital receiver boxes, to name just one class, will happily chow down on 15 or more watts even when supposedly in sleep mode, where they should by rights only need to consume 1w. That's 14x the saving possible from reducing charger consumption to 0w, right there. Or encourage better insulation (something that's out of my hands, living in an apartment block), better use of available heat (I already had a jacket and hat on, and didn't want to put my outdoor gloves back on because I was using the PC), or most particularly mandating more stringent fuel efficiency and emissions standards for road vehicles (or at least, strongly encouraging them - e.g. basing the yearly licensing costs on emissions, on an exponential scale, as in europe...) and closing the loopholes that mean a 6-litre duallie pickup truck is seen as a good choice for a suburban ride if you want to dodge said standards. The cost of fuel, and of yearly licensing has encouraged me to switch to a car that is a little smaller - but still, it turns out, with more than enough room for my daily uses - and a little slower (again, still plenty fast enough without needing to be thrashed), but more crucially consumes 2/3rds the fuel per mile and puts out 2/3rds the pollutants. Effectively meaning it's 50% more efficient with the energy it uses. As I drive about 10,000 miles a year at maybe 50mph target average-speed, or the in-traffic equivalent (= 200 hours at 10kW or so, in the older model), that one change is worth at least 76 phone chargers at a constant 1w (24h/365d), or 5.5 digital TV boxes... Plus it's saving me more than $600 a year in fuel and taxes. We have all heard the phrases "phantom power" and "vampire energy" about a million times, and yet the problem still exists - many people forget to unplug battery chargers and other electronics when they are done with them. The State of California has decided that instead of trying to change the stubborn behavior of humans, they're going to change the behavior of the chargers. In 2013 the state will introduce new battery charger standards that will reduce overall consumption by up to 40%, save enough energy to power 350,000 homes, save Californians $300 million in energy bills, and reduce carbon emissions by one million metric tons.